We had numerous and exciting construction projects happening both inside and outside of Wingra this summer. We look forward to debuting new things throughout the school year. The start of construction for our nature-based playground has begun– a great opportunity for students to see it emerge and take shape before their very eyes. This summer, as changes took place just outside my office window, I considered how we as humans build resilience, a core component to our overall wellness. All of us–young and old–encounter difficult, adverse, or stressful moments in the days of our lives. With practice, we can skillfully respond to these moments and work our way through them with compassion for ourselves and others. Each of us has different strengths and core values that guide the way we engage with and respond to the world. When encountering a challenging moment, we can practice pausing to focus on our strengths and on values such as integrity, honesty, kindness, and patience. In this way, rather than avoiding the difficulty, we lean into it with intention and learn that, while life isn’t free of challenge, how we choose to respond makes all the difference. We’ll continue practicing this with your children this year. And, when we practice and model this again and again, our whole community becomes healthy and more resilient–we are better able to have a positive impact on the larger landscape of society. Wingra School is an independent, kindergarten to 8th grade, school located on a on a hillside across from the University of Wisconsin Arboretum, in the heart of Madison. At its founding in 1972, Wingra School set out to reimagine education for children in our changing world. There’s a charm to our building, a history. Wingra School lives in the former Dudgeon building, near the heart of Madison on Monroe Street. We’re across from the UW Arboretum and on the Madison Metro bus line, which is our connection to the Overture Center, the downtown library, the State Capitol, University of Wisconsin campus, and museums. The grass-covered, hilly front yard and paved back playground are Madison city parks that provide children with green space, trees, ball diamonds, swing sets, climbing structures, and wide-open spaces. The hill in the front yard is great for sledding in winter and water slides on Fun Day! In 1970 and 1971, five women, all with considerable knowledge in the fields of education and child development, set out to create a learning environment for children that followed many of the same philosophies as the “open classroom” or British primary model. It was a time when many educators questioned the effectiveness and benefits to children of the traditional, highly adult-centered practices in American education. Wingra’s founders’ original intent was not to create a new school but to demonstrate to the Madison school district a more child-centered, mixed-age approach in the hopes that they would implement it within the public schools. They tirelessly lobbied the school board, convincing them along the way to send several teachers to England to explore the open classroom. Ultimately, the district proposed a three-year experiment starting with five-year-olds and adding an age group each year. This arrangement did not satisfy Wingra’s founders, in part because the true benefit of the family groupings would not be enjoyed until the third year. After thanking the district for its support and consideration, the founders opened Wingra School in 1972 in the Dudgeon building with 45 students in two classrooms. The school’s first teachers were Sam Jackson, JoAnn Schoell, and Jackie Hass. Wingra expanded as interest in the school grew and younger students matured. In the mid-seventies, a class for 9 to 11 year olds was added. In 1983, Wingra started a program for the middle school years, ages 11 to 14. Serving students from kindergarten through eighth grade presented new challenges and opportunities. The informal model, traditionally used with younger students and in early childhood settings, was reinterpreted to meet the needs of early adolescents. The classrooms for older students have become a high-quality alternative to large middle school settings. Over the decades, Wingra has established connections with organizations that serve independent schools, including the National Association of Independent Schools, the Progressive Education Network, and the National Coalition of Alternative Community Schools. Over the past 20 years, Debbie has held a variety of roles both within the education world and beyond. A common thread through all of her experiences is a deep commitment to community building and engagement, authentic learning and living, and systems thinking and design. She is excited to continue weaving that thread as Wingra’s Head of School. Before joining Wingra in 2016, Debbie was the Head of School for 9 years at the Bellwether School, a holistic elementary school in Vermont that is closely aligned with Wingra’s educational philosophy. She also taught at Bellwether and worked as the operations manager prior to leading the school. In the late 1990s, she served as the director of the PlayCare Center, a play-based preschool that celebrated children’s sense of wonder and curiosity. While working at the Mathematical Association of America in Washington, DC, Debbie collaborated with university professors to define novel teaching methods to strengthen mathematics achievement in minority high school students. Besides her work in education, Debbie and her husband, Aaron, a chef, opened and led a restaurant and bakery/market in Vermont. Both businesses were committed to local, artisan foods and farmers and educating consumers about the importance of supporting sustainable agricultural practices. She also worked in the field of biomechanics, designing prosthetics for children and studying Tai Chi gait in young and elderly adults. When not in school, Debbie might be found out in nature, reading, traveling, hiking, practicing yoga and meditation, or sometimes just being…and of course soaking in precious time with Aaron. Daniel grew up in San Gabriel, California and comes from a family of teachers. His parents are retired career teachers, and his brother is an English teacher in Los Angeles. 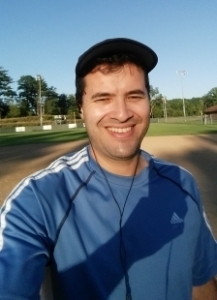 Daniel lives in Madison with his wife, Ariela, and two children, Zevi and Laila. Daniel started his career in education teaching math at Madison East High School. In his five years there, he taught math and ESL, was the advisor for the National Honors Society, coached the gymnastics team, and adapted and directed a student production of The House on Mango Street. In 2011, Daniel and his wife moved to California where he taught math at Everest Public High School, a college preparatory charter school. In addition to being a teacher, he also served as a mentor, following the same group of students from day one of ninth grade to the college application process and high school graduation. During the summers in California, Daniel was both an instructor and lead instructor for SMASH Academy, a three-year STEM-intensive residential college prep program that empowers students to deepen their talents and pursue STEM careers. We imagine a school in which students and teachers excitedly and joyfully stretch themselves to their limits in pursuit of projects built on their own visions…We imagine a school from which every student will come with vision: a proud vision of self as a powerful life-long learner, a vibrant vision of a worthwhile life ahead, an optimistic vision of a society to be proud of, and the skills and the ethic needed to follow these visions. Christine grew up fishing on a small lake in Wisconsin, but fishing isn’t always about fishing. Sometimes it’s about sunrises through fog and notes scribbled on slimy tackle boxes. It’s about close-quartered conversations and tippy canoes. Early on, Christine developed a deep-rooted passion for writing and personal connection. She received bachelor degrees in English and Psychology from Washington University in St. Louis and a master’s degree in creative writing from the University of Wisconsin-Milwaukee. After college, Christine worked at Epic in Verona, WI where she eagerly learned to navigate operating rooms and implemented electronic medical records at healthcare organizations in Wisconsin and across the country. Christine moved to The Netherlands in 2012 with her spouse, Michael, and there spent several years getting back in touch with her passion while working as an editor for an international literary journal. Just prior to joining the Wingra team, Christine was a stay-at-home mom for two curious and energetic toddlers. These days, Christine walks to work at Wingra with wonderfully challenging questions on her mind. For her, at the forefront is how we, as a community, best educate our children. The love we show. The words we use. The spaces in which we set them. Christine is thrilled to be a member of the Wingra School family. Committed to progressive education, Mary student taught in the British Primary System before working at Metropolitan Open School in St. Louis Park, Minnesota where she was an active member of the Network of Progressive Educators. In 1990 Mary discovered Wingra School, where she taught until 1997. After having children, Mary worked as a freelance writer and mother of two sons. Mary re-joined the Wingra Staff in 2006 in the role of program developer, helping to create a plan to inform, guide, and support Wingra’s leadership into the future. Over the past 27 years, Mary has worked at Wingra School in many capacities: as a teacher of 10–14 year-olds; as a member of the leadership team; as a program developer; as the education director; as the Interim Head of Wingra School; and currently as Wingra’s Sustainability and Stewardship Coordinator. Since joining the Wingra School staff in 1988, Bonnie has enjoyed working in a place where she has daily contact with children. Watching performances at an all-school Follies or supervising kids in the lunchroom is a nice contrast to balancing the budget. While her background is in financial administration and benefits management, she has learned a great deal over the years about progressive education and wishes she could have gone to a school like Wingra when she was young. Bonnie’s responsibilities cover all aspects of establishing and maintaining a fund accounting system and procedures to accommodate the changing financial needs of Wingra School. This includes developing yearly budgets for approval by the Board of Trustees, preparing monthly financial statements for the Board, staff, and faculty, and creating all needed year-end schedules for the annual audit. She processes a monthly payroll in addition to researching, updating, and maintaining compliance for the school’s employee benefits package. Bonnie is strongly committed to making Wingra School affordable for as many families as possible and has overseen Wingra’s tuition assistance program since 1998. She develops and updates the policies and procedures, assists families in the application process, and determines final awards in conjunction with the Head of School. When she’s not at Wingra, Bonnie spends her time working on house projects, digging in her garden, and relaxing with family and friends. Originally from Mexico City, Elizabeth has called Wisconsin home since 1993 and has been working in her role as “The Heart of Wingra School” since 2002. Both of Elizabeth’s daughters, Priscilla and Katherine, attended Wingra School for the full nine year, K-8 experience. Elizabeth’s warm smile is often the first thing you see when you enter Wingra School. Her organizational skills, gentle ways of tending to children and their minor injuries, coordinating Wingra’s hot lunch program, and close attention to all the details of running our vibrant community have been keeping us humming along steadily. One of Elizabeth’s annual projects is the planning and organization of Fun Day! Born in 1978, raised in Newburg and West Bend, Wisconsin. I grew up playing around in the dust of my parent’s wood products manufacturing business. I enjoyed being one of the few people with a camera always at hand. Graduated in 2001 from UW-Milwaukee with a BFA–Film, then worked with other artists at a design-build firm in Milwaukee called Flux Design. In 2004 I took over my parent’s business with my sister. Marketing retail and wholesale, we grew the business of quilting frame manufacturing and developed new products from modified sewing machines to modular furniture on wheels. We sold the business in 2009. I love tinkering with new product ideas and making all kinds of art from film and photography, iron pouring sculpture, map based topographical art, to large wooden geodesic domes and spheres. I am at home surrounded by aquariums, dirt, and representatives from both the animal and plant kingdoms. I am passionate about science, technology, engineering, and math. In 2014, I met Weslie, got married, moved to Madison, and while applying for jobs in the manufacturing industry, worked for Rick at Wingra doing carpentry jobs around the school. Rick was about to retire, and offered me his position as building director. I did not expect or intend my profession to be surrounded by children, but soon realized that is what I love. She worked as a waterfront director at a sleep-away summer camp in Waupaca, Wisconsin where she was able to teach children of all ages how to swim, boat, and water ski. While working on her Masters Degree in health education, she worked in a more traditional environment as Teacher’s Assistant for special education at the high school level on Long Island. After receiving her M.S., she taught kindergarten at a private progressive school in New York City for two years. Angela grew up in the Stoughton countryside, spending most of her time either lost in the woods or lost in a book. Nature and literacy have always been passions of hers. She considers herself fortunate because she always knew that she wanted to be an educator. Angela was drawn to Wingra’s sense of community and love of learning. 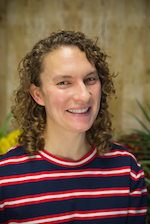 She joined Wingra School in 2003 as a substitute teacher and was thrilled to discover that her personal philosophy of education was realized in the progressive education values at Wingra. Here, Angela works with children in a place where authentic relationships are formed and nurtured; everyone’s voice is necessary and important; learning is often collaborative and is constructed through relevant, hands-on, and integrated experiences; social and emotional learning is valued; and childhood is respected. She considers Wingra School her educational home. Angela became part of the full-time teaching staff in 2004, working with 8- to 10-year-olds in Room 101. She now enjoys teaching and learning with 7- to 9-year-olds in the Pond and collaborating with her teaching team. Learning something new every day is a goal of Angela’s. She participated in a pilot program between the Children’s Dyslexia Center and the Madison Metropolitan School District; she was one of five area teachers learning the Orton-Gillingham method of phonics instruction and completed a 100-hour practicum teaching two Wingra students. She achieved her Certificate of Completion of IMSLEC-approved (International Multisensory Structured Language Education Council) training in 2017. 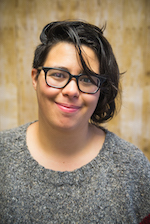 Angela is a past participant in the Greater Madison Writing Project (GMWP), an opportunity for area educators and UW-Madison outreach staff to come together around personal writing and writing instruction in the classroom. GMWP participants have formed a professional network over the years. Angela often attends professional development workshops throughout the year, enjoying bringing back new ideas as well as sharing the Wingra way with other professionals. Angela also frequently partners with Edgewood College and UW-Madison, serving as a cooperating teacher for pre-service education students. She is a member of the Madison Area Reading Council, Wisconsin Mathematics Council, International Dyslexia Association, and the Progressive Education Network. Angela also does private tutoring through her business, Assisting Discovery. Angela enjoys reading, camping, traveling, and being in nature, and hopes to one day write an interesting early-reader children’s book. Tresi has been working in progressive schools for more than twenty-five years, happily teaching and learning among amazing contingents of children, colleagues, and families. Tresi first arrived at Wingra as a student teacher in 1991, and since that time she has worked with children of all different ages, and served as part of Wingra’s leadership team. Tresi has also taught at a progressive independent school in Minnesota, and acted as a consultant for a progressive public charter school in Wisconsin. Tresi remains equally enthusiastic whether she is thinking, reading, or talking about progressive education, or sharing the daily life of the classroom with children. Tresi’s recent professional experiences include the Earth Partnership Project at the UW Arboretum, and the Greater Madison Writing Project. This year, she’s participating with area educators in a yearlong Courage to Teach retreat series at Bethel Horizons in Dodgeville. When she’s not at Wingra, Tresi can be found spending time with her precious family and friends. She also loves to walk, read, write, cook, sing, travel, and talk on the phone. Motivated by the impact of positive experience and relationships in the field of education, Megan chose years ago to follow her passion and teach. She began her career teaching 2nd grade with a focus on nutrition, self-esteem, and literature at a Chicago inner city school. Megan then ventured to the border of Kenya and Uganda.There at the Mallimilli School she founded the Sandrock Art Program. After Megan moved back to the states to East Palo Alto, CA where she taught at an ESL with a focus on health. Megan stepped back from the classroom for several years to raise her four children while she opened an in-home child care program called Grass Stained Knees. Missing the collaborative work and other progressive teachers, she returned to the classroom setting. An interest in Anthropology and Waldorf Education led her to begin her Masters in Waldorf Education while she taught at The Madison Waldorf School. 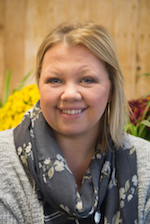 She now teaches here at Wingra School and is delighted to be working alongside the Pond Teachers. Keizai Koho Fellowship trip to Japan in 1992; a “Math in Context” institute in the Netherlands in 1995; and a five-week 2002 National Endowment for the Arts fellowship studying the historiography of the Industrial Revolution in Nottingham, England. 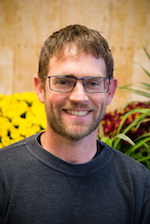 Allen presented his classroom action research work about democratic classrooms at the 2004 annual American Educator Research Conference and served as a discussant at the 2005 conference and has been a reviewer of proposals for AERA’s Teacher as Research Special Interest Group. He presented his findings about the sound culture of the classroom at the 2006 National Council of Teachers of English Annual Convention, the 2007 AERA Conference, and at the 2008 University of Pennsylvania Annual Ethnography in Education Research Forum. in schools. He particularly values Wingra being a Partner School of the UW’s School of Education and hosting UW pre-service teachers serving as a cooperating teacher. Emily grew up in the small town of New London, Wisconsin, where she was introduced to a multi-age classroom environment. When she learned how her beliefs in education closely matched the philosophies of Wingra School, she was delighted to join the team. Emily felt it both inspiring and refreshing to learn that Wingra honored the whole child and the process of exploration and life-long learning. After graduating from the University of Wisconsin-Milwaukee with a degree in Education, Emily taught 8th grade English language arts, science and social studies at La Causa Charter School in Milwaukee. Outside of teaching, Emily loves live music, traveling, biking, snowboarding, yoga, and cooking. Kathy is a firm believer in a progressive approach to education and has loved being a part of the Wingra community since 2000. A native of Cincinnati, Kathy was educated at the University of Dayton and the University of Wisconsin. She spent eight years traveling the world with her husband, Dave, prior to joining the Wingra faculty. In addition to exploring the U.S. and Canada, the couple spent six months living in a tent in Australia and resided in Taiwan for two and half years, where they taught English. Kathy considers herself a citizen scientist and a life-long learner. Teaching at Wingra allows her to ask questions and actively pursue an increased understanding of herself and the world each and every day. Kathy and Dave have three children, Willie, Leo, and Laurel. Sagan was born and raised in Madison and is excited to still be a part of the Madison Community. She graduated from UW-La Crosse with a bachelors degree in elementary education and a minor in English. After teaching in a multi-age school while studying abroad in Botswana and then student teaching in a multi-age classroom of 11-14 year olds in La Crosse, Sagan was thrilled to see an opening in the Sky Classroom in 2013. Sagan truly values Wingra’s commitment to creating a strong learning community focused on democratic habits and feels happy to work alongside adolescence striving to do so. Since working at Wingra, Sagan has participated in multiple professional development opportunities. She has completed her Professional Development Plan focused on effective literacy education. She has attended the Learning and the Brain Conference in Boston, the Wisconsin State Reading Association Conference, the Progressive Education Network Conference in 2015, the Play, Make, Learn Conference at the University of Wisconsin-Madison and presented, along with the Sky team, at the Progressive Education Network Conference in 2017. Sagan was awarded the Top Notch Teacher Award in Madison for the month of March in 2015. Sagan is also involved in the soccer community in Madison. She is currently a coach in the boys soccer program and the assistant girls varsity coach, both at West High School. Jenny knows that every child learns in a slightly different manner. As she gets to know students, she tailors the curriculum around their strengths and interests, while gradually encouraging them to branch out to new challenges. Before coming to Wingra, Jenny taught at Glenn Stephens Elementary School and at Sennett Middle School. She has also taught at Monroe Street Fine Arts Center for four years. In her free time, Jenny loves to create, show, and sell her own art work, with a focus on drawing, painting, and mixed media. Jenny lives in Madison with her husband and two children. Weslie earned her degree in elementary education from UW-Madison and completed some of her student teaching at Wingra (with 9-11 year olds). She then went on to Namibia, Africa to work as a special education teacher for students ages 8-15. Weslie returned in January of 2009 and has been a part of the Wingra community ever since. She spent 9 years as a Pond teacher and has recently transitioned to be the Health and Wellness teacher for 5-14 year olds. Weslie loves to play and is a strong supporter of outdoor learning. She has a passion for and an appreciation of nature and exploration. With the help and support of many from the Wingra community (including students! ), she worked for the creation of Wingra’s outdoor classroom structure. Weslie finds as much time as she can to be outside with students during Health and Wellness class in the outdoor classroom, on the front lawn, in the Arboretum, or at the Children’s Glen. Weslie brings her knowledge of yoga and mindfulness to her teaching and daily work as a Health and Wellness teacher. She earned her 200 hour yoga certification in 2015 as well as a children’s yoga certification in 2014. Weslie loves her job at Wingra School where she gets to work and play. B.Ed., Music Education, Levinsky College of Education and Rimon School of Jazz and Contemporary Music. Aviv is a music educator, Beatles scholar, and composer, born in Tel Aviv, Israel. He plays piano, guitar, and flute, and he has taught students in both Israel and the United States, ranging in age from pre-kindergarten to adults. Aviv’s curricula at Wingra cover a wide range of musical skills: playing instruments, singing, listening, analyzing, and composing. His approach puts a special emphasis on musical creativity, and he creates space for children’s compositions of any style. Through his focus on creativity and collaboration, Aviv encourages, validates, and celebrates each child’s unique musical voice, drawing from his own experience as a composer and performer. A strong supporter of collaborative small ensembles as a foundation for musical and social growth, Aviv developed Wingra’s unique Rock and Jazz Band. In this program, he guides mixed-age groups of students as they prepare songs for concert performances. In 2013 Aviv founded Get Back Wisconsin, Madison’s Beatles cover band. His group has gained statewide recognition as an ensemble that specializes in studying the entire Beatles catalog and performing authentic re-creations of each song. Aviv presented his scholarly work on the music of the Beatles and its connection to progressive music education in 2014, representing Wingra School among the world’s most highly regarded Beatles scholars at the International Academic Beatles Conference at Penn State University in Altoona. In 2017 he was invited back to present a study at the academic Beatles symposium in the University of Michigan. Since 2003 Aviv has been the music director at Olin Sang Ruby Union Institute, a Jewish summer camp in Oconomowoc, Wisconsin, where he works in a unique, collaborative fine arts program with youth who have a special interest in musical exploration. Based on his work at camp, Aviv was selected to be a regular lecturer at the Jewish Artists Laboratory at UW-Madison’s Hillel center. Though originally from Boston, Miranda grew up in and around New York, where much of her family still lives today. As a high school student, she realized she needed to teach in order to follow in the footsteps of the amazing educators that shaped her formative years. Seizing every opportunity to teach that was available, she worked as a tutor and assistant children’s librarian through high school, and was a nature instructor in her early college years. She received bachelor degrees in English and History from Union College, and completed an undergraduate thesis focused on workers’ movements in Poland during the 1970s and 1980s. For fun, she assisted teaching Astronomy courses and volunteered for the Society of Physics Students’ local outreach programs. While pursuing her master’s in education at Lesley University, Miranda co-taught seventh and eighth grade classes at the Shady Hill School in Cambridge, Massachusetts. It was there that she was able to embrace using project-based units of thematic study to shape student learning; and she still gets teary-eyed when she remembers her students’ Hamilton-inspired colonial plays and the Africa-shaped cake her students baked for her last day at school. Miranda moved to Madison in the summer of 2017 and first joined Wingra as a substitute teacher at the start of the new calendar year. For Miranda, Wingra is synonymous with the community that shaped her first experiences in Madison, from accidentally teaching French in the Lake to conducting zany science projects. Her aspirations as an educator are to find exciting and engaging ways to learn about the world around us and to emphasize love, community building, social justice, and embracing the unusual in all that we do. Luis was born, raised, and educated in Colombia. He graduated from Universidad Javeriana with a Bachelor’s Degree in Industrial Engineering. 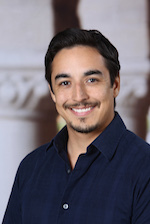 His love for learning and teaching is employed through an experiential-based learning style, and Luis has taught Spanish for seven years at private schools, using games, music, and the arts to share his passion for education. Luis is also an avid soccer fan and former youth soccer coach. He can still be found on the fields in Madison, where he belongs to a regular pick-up soccer group. Luis is really excited to work with a school that is so dedicated to having its students learn in a progressive, compassionate, and engaging way. Angie has worked at Wingra since 1989. Previously a classroom teacher of 9-11 year-olds, Angie began the Wingra Library and Technology Program in 1996 and oversees its growth of resources and services available to students, teachers, and families. She loves collaborating with teachers and students at all levels to find ways to creatively integrate literature and library skills into classrooms units. She has built a library collection and uses it to support students as they write, illustrate, and publish their own books, some of which are added to the Wingra Library collection. Angie loves being creative (and organized! ), her yoga and golf practices, being a Little Free Library steward, and having fun with friends and family. She is the proud parent of Wingra alum, Addison, now a high school student. Wingra School is committed to attracting staff of varied backgrounds and to developing inclusive classroom communities that draw strength from a positive recognition of diversity. We value diversity in our community with regard to gender, race, color, creed, religion, sexual orientation, national or ethnic origin, and ability. Wingra School is looking for substitute teachers to work with children ages 5–14. Teachers will strive to bring out the best in students while working with engaging, interactive curriculum based on a deep understanding of child development and a passion for the learning process. Work with multi-age groups of primary students (ages 5–7), intermediate students (ages 7–9 and 9–11) and adolescent students (ages 11–14) in all subject areas. Must be an excellent teacher who is resourceful, enthusiastic, organized, and able to navigate the educational terrain with flexibility and grace. Wingra School is a nonprofit organization governed by a Board of Trustees composed of parents, staff members, and community volunteers. 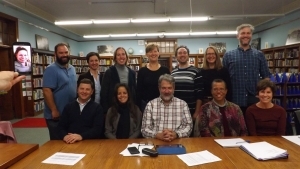 The board provides support for all aspects of the school through fundraising, policy development, maintenance of the organizational structure, and participation in financial and long-range planning. The board is self-perpetuating; new members are chosen by current board members to bring in needed strengths and talents. Staff members are nominated by the staff. It is important that potential board members are committed to Wingra’s mission and ownership and are able to “think big” in terms of systems, not details. Nominations for new candidates to the 2019-2020 board will be accepted in April, please check back soon. Within the Wingra community, partnerships and relationships are fostered through shared experiences among our students and their families. We want to know the important people in children’s lives and invite active participation in our school community for parents, extended family, and caregivers. We encourage active engagement in children’s education to help ground them and help them flourish. Through school-wide and classroom volunteer opportunities, our parent organization, and special events, there is a way for everyone to be involved. 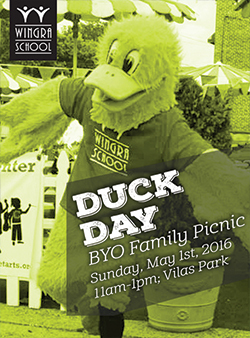 At Wingra School, we have always depended on parent volunteers to help with school events and activities. Working on the premise that many hands make light work, we ask all parents to sign up for specific roles, activities, and events of interest. Early each summer, parents are asked to share their preferred service opportunities for the coming year through a Parent Service Form (.pdf). In the fall, we let parents know how they can help the school, based on their expressed preferences. The WCC brings together parents and caregivers to create opportunities to connect and learn from each other, build relationships, and support Wingra’s events and programs to strengthen our community. Community Conversations • Family Game Night • Family Poetry Night • Follies Bake Sales • Teacher Appreciation • And More! There are many ways to participate in the WCC with varying levels of commitment. Join us on Facebook or sign-up on our mailing list to learn how you can become involved. Parents have many opportunities to volunteer in their child’s classroom. That could include being a guest speaker or sharing an area of expertise, driving for a class field trip, providing classroom snacks as assigned, supporting teachers and students in the classroom, or tasks at home. Wingra School was founded as a private institution for the public good. One way we continue to realize this commitment is by hosting student and practicum teachers from local universities* and colleges into our classrooms. We are fortunate to work with many educators, early in their careers, each semester. Wingra pursues service projects to connect with and support organizations within Madison. Service-Learning, as defined by Community Works Institute, is an educational strategy that combines academic and social goals to meet community needs. Collaboration occurs through compelling sense of purpose, engagement, and reciprocity among all partners. A visitor to our school has much to learn about our intentional educational community. We host tours for current and future educators, university professors, and others interested in seeing firsthand how we cultivate an atmosphere activity, learning, and freedom. One can feel it the moment the door is opened! We also strive to be a model for healthy ecological practices and invite neighbors and businesses to tour our building and witness how we give care to the environment. New Morning Nursery School has much in common with Wingra School in its nurturing, child-centered approach. The school was formed as a non-profit cooperative by parents in 1972 and is located on a second floor wing at Wingra.